The Secretary Treasurer and Admin offices will be closed for the Easter holidays. We will re-open Tuesday, April 23rd. ILWU Local 502 clothing will be on sale this Saturday, March 16th, 2019 from 2:00PM-5:00PM. Cash only. 2018 Dues Receipts are being mailed out. They are not available to be picked up at the Hall. Predispatch for Thursday for Fridays STARTING FEB 21!!!!!!!!!! 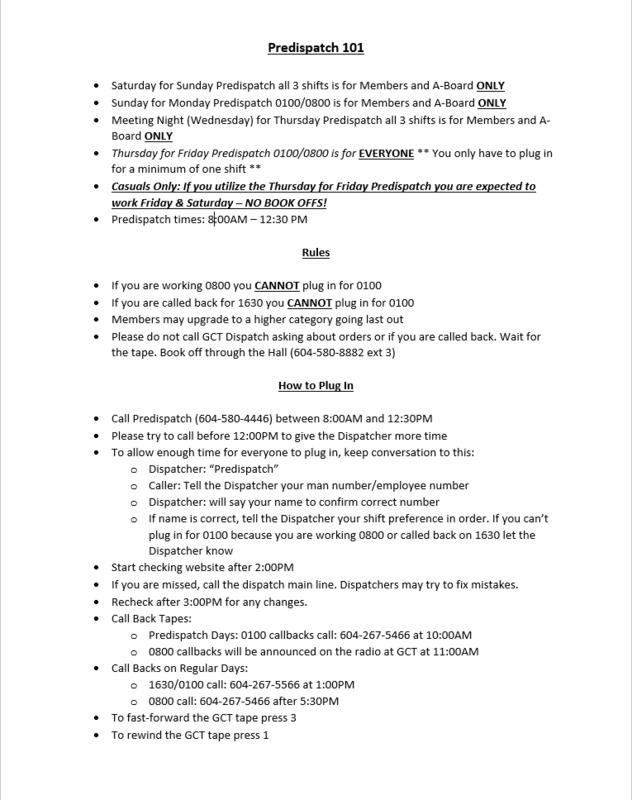 There will be a *new* predispatch starting this Thursday (Feb 21) for Friday for ALL MEMBERS & CASUALS for 0100/0800 shifts only. You do not have to plug in for both shifts if you do not want to. Any casual using this service will be expected to make themselves available for BOTH the Friday and Saturday — there will be no book offs allowed.